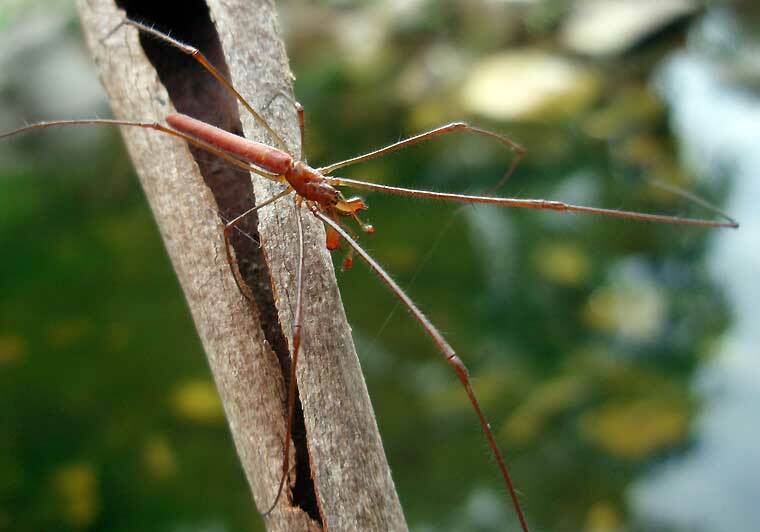 Tetragnatha sp. 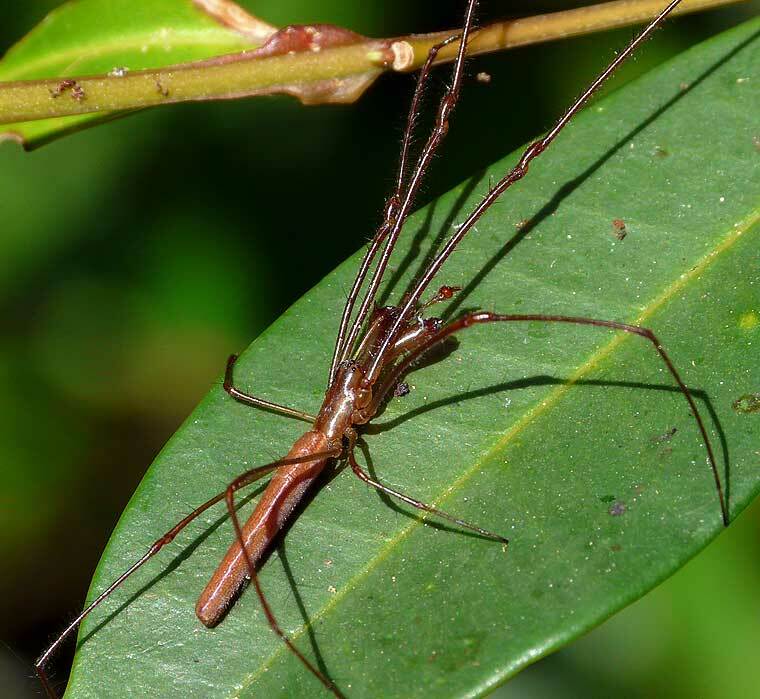 Long-jawed Spiders (also known as Four-jawed Spiders) have enlarged jaws (chelicerae and fangs). They build horizontal or inclined orb webs about 20cm in diameter. They are usually found near water in their webs at night and hiding during the day. 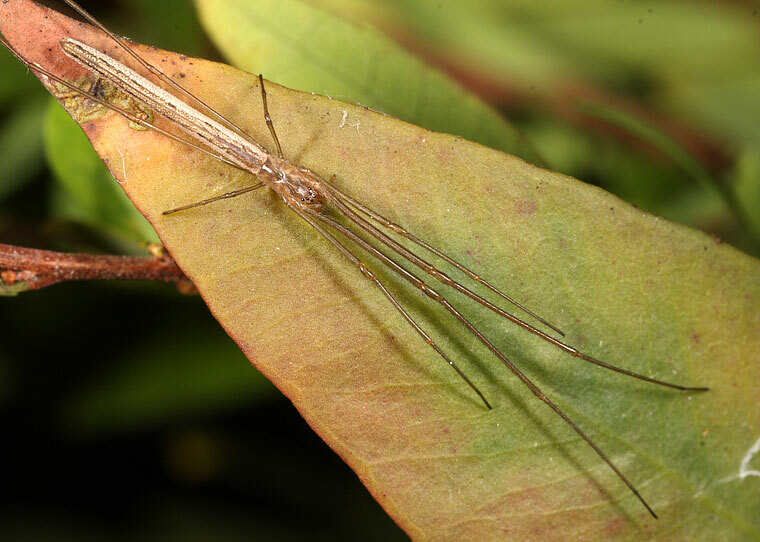 This specimen and many more like it were seen with their web slung across a narrow stream, anchored by vegetation either side. The webs were about 2m wide at most.